The presence of a female foreigner with a ‘drone’ during the agitation against the high-tension power line in Kodagu on November 19 has given a new twist to the controversial project involving the felling of 50,000 trees in the fragile Western Ghats. 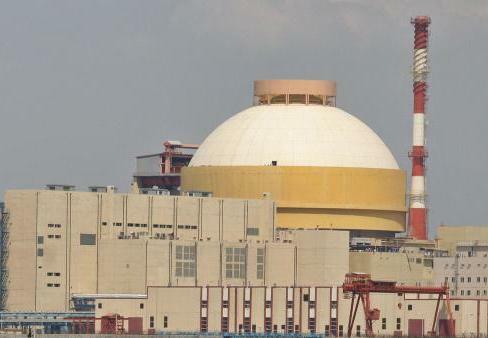 The special report filed by Bala Chauhan for Deccan Chronicle newspaper under the title ‘Kudankalam Nuclear Power Plant: Drone at protest rally alarms cops’ featured on January 2, 2015, has raised internal security issues. Bengaluru: A foreigner with a ‘drone’ in Kodagu reportedly found protesting against the commissioning of the transmission line from Kudankalam Nuclear Power Plant (KNPP) in Tirunelveli in Tamil Nadu (in picture) to Karnataka has raised questions about internal security in the State because use of private unmanned aerial vehicles (UAVs) is banned in the country following an order of the Director General of Civil Aviation (DGCA) through a public notice (05-13/2014) AED dated October 7, 2014. According to official sources, on November 19 members of a local NGO, accompanied by some members of the Raitha Sangha, had staged a protest at Maldare village against the installation of the transmission towers despite the court clearance and reportedly stopped the Central Power Grid Corporation of India (CPGCI) officials from carrying out their work. “We saw a foreigner, who was among the protestors. She was operating a remote controlled UAV, which was brought down near the tower. Maldare is very close to Biligere, a restricted military area near Mysuru. The CPGCI has written to District Superintendent of Police, Madikeri Vartika Katiyar and Deputy SP asking them to investigate how the foreigner was allowed to bring a UAV in an area, which has high security installations like the Mangalore refinery, Mangalore Port Trust and the international airport besides the Defence establishment,” said an officer on condition of anonymity. A copy of the complaint was also marked to Deputy Commissioner, Madikeri Anurag Tiwari, who when contacted, said that prima facie the nature of the complaint looked “serious” and that he has written to the government about it. The CPGCI, which is behind the commissioning of the project, has been facing stiff opposition from protesting non- governmental organizations in Kodagu for installing 156 transmission towers in paddy fields (100), reserved forest (13) and coffee estates (43). Power deficit Karnataka is expected receive 550mw of power from KNPP through the 400kv transmission line from Kozhikode to Mysore, which covers an area of 210 km. The project, which was started in 2005 at a cost of Rs 270 crore was scheduled to be completed by 2007, but due to continued litigation and protests from the NGOs the project has been delayed for more than seven years and the cost has now doubled to Rs 530 crore now, said an official. “Out of the 210 km, work in 155 km is over and 55 km is pending, which passes through Kodagu because of the agitations despite the fact that the project has been cleared by the High Court, the Green Tribunal and the Central Empowered Committee. The State government had constituted a high power committee to look into the protestors issues. The committee comprising forest officials and from the Central Power Research Institute (CPRI) submitted the report in September stating that if the government wished to avoid the transmission line through Kodagu then the only alternative route would be through Bandipur and Nagarhole reserve forests,” the officer added.